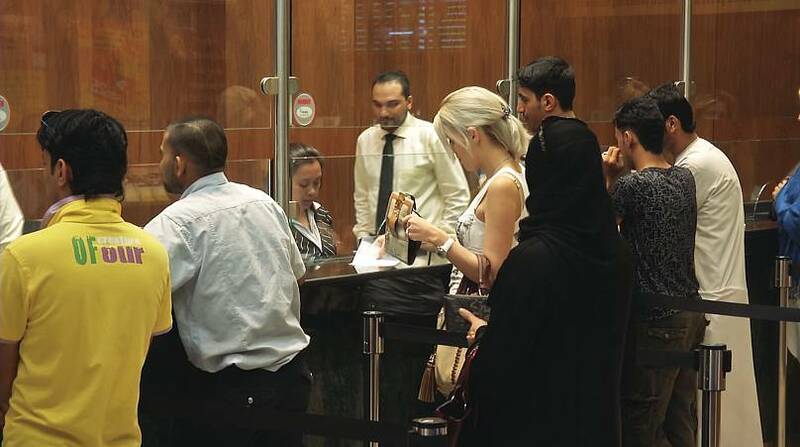 WHAT IS ISLAMIC BANKING AND WHERE IS IT HEADED? As old as the religion itself, Islamic banking has reached new levels of maturity in the past fifty years. It is forecast to be worth 3 trillion dollars by 2021 with Malaysia, Saudi Arabia and the UAE currently leading the market. This banking system follows Islamic guidelines, based on profit-sharing, instead of interest being charged on loans. Despite being one of the fastest growing banking sectors, Islamic finance is still relatively small compared to the global industry, and since 2014 it has seen a decrease in its growth rate. Sukuks, or Islamic bonds, currently make up less than one percent of the world’s bond market, despite some analysts believing that they provide less volatility than conventional bonds and a higher return. Experts believe that the introduction of industry-wide regulation could help encourage new players to enter the market and boost investment in the segment. The International Monetary Fund has stated that, in the coming months, it plans to roll out regulations and guidelines for the industry, which is now active in more than 60 countries worldwide. Emirates NBD forecasts that investor appetite for corporate and sovereign Islamic bonds will remain strong, and that more issuances will be seen in the next six to twelve months. 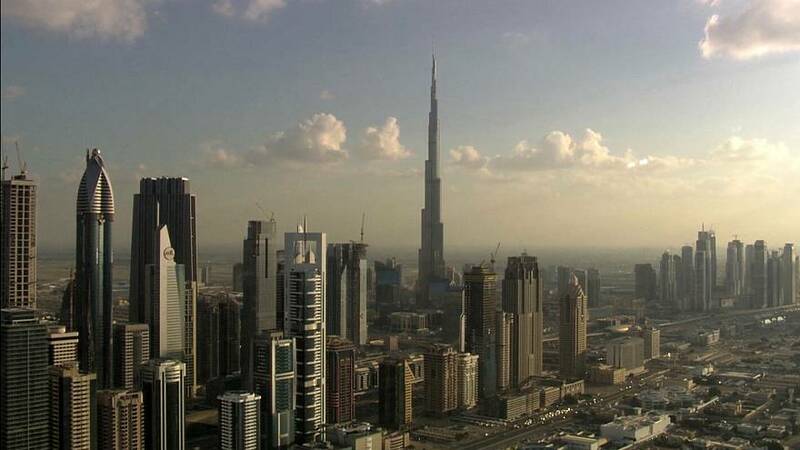 The growth and development of the Islamic economy is a key pillar in Dubai’s post-oil economic vision. The emirate aims to become a global hub for the Islamic economy by boosting what it calls ‘responsible investment’ in the industry, as well as halal entrepreneurship and innovation. Global spending in the Islamic Economy food and lifestyle sector alone is forecast to reach $3 trillion by 2022, meaning that meeting its objectives could be a very profitable endeavor for the emirate. In 2016, the Islamic economy contributed around 8.3% to Dubai’s GDP. This number is set to rise in the coming years, according to His Excellency Abdulla Al Awar, CEO of the Dubai Islamic Economy Development Centre. Al Awar highlights the fact that since 2013, when efforts to encourage the listing of Islamic bonds were put in place, Dubai has risen from a ranking of third to first place in the global market. Kuala Lumpur and London are two other cities that are considered respected providers of Islamic financial products and services. Far from seeing this as a threat, Al Awar believes that such competition is an important drive for Dubai to achieve its global hub status. “If there wasn't any competition I don't think Dubai would have achieved where we are,” he says, adding that Dubai’s geographical position is also a strategic advantage. The head of the DIEDC further emphasizes that the worldwide contribution to the Islamic economy is not limited to the Muslim community, pointing to consumers globally in 2016 spending more than $2 trillion on Sharia-compliant products. Looking to the future, and emerging financial technologies, Dubai is also directing its strategy towards the next generation of innovators and business leaders. HOW IS FINTECH DISRUPTING ISLAMIC FINANCE IN THE UK? 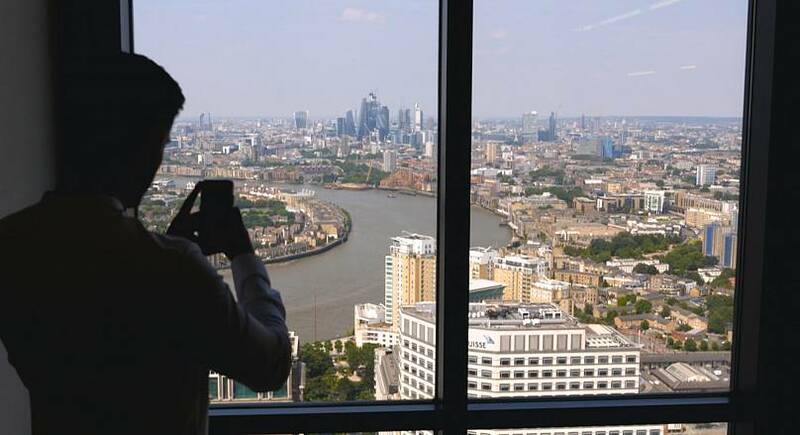 London has long been a global financial centre and it is now, as many hubs worldwide, embracing new technologies to seal its place as a leading Fintech hub. The UK also being one of the leading centres for Islamic banking, these finance-forward technologies are likely to disrupt Sharia-compliant finance. Twenty-seven-year-old Zeeshan Uppal runs Yielders, a start-up company shaking-up the property investment market in the UK through Sharia-based crowdfunding. He explains that as millennial grow up, they’ll shift away from traditional finance and towards more enabling methods of money management. “The disruption of Fintech has really allowed for people in the UK to be involved in real estate, as well the Sharia element of what we do,” he says. However, some industry experts say Britain still has work to do in Islamic Fintech if it wishes to keep up with its Middle East competitors. Abdul Haseeb Basit founded the UK Islamic Fintech Panel, in the hope that banks would catch-up on the opportunity. “We felt that there was the need for a network within the Islamic and Fintech space and really to help protect the UK against losing ground to other jurisdictions, such as Dubai, Bahrain and the GCC,” he explains. Basit believes that like the conventional Fintech sector, Islamic Fintech companies will step jurisdictional presence in the EU. He stresses that although that shouldn’t have a huge impact on the market, it’s still important to understand where these companies preferred to be based. UAE-based property broker Matt from the UK uploaded this pic against Dubai’s commercial skyline with the caption ‘Happy People Sell’. And Irfan from Malaysia Instagrammed this shot of him swotting-up on Shariah compliance at the Islamic Banking & Finance Institute in Malaysia. How are young Muslims boosting the halal tourism industry?